Daniel is locked in his room. Although the phone endlessly beckons him to go outside, he recedes further and further into his own mind — a desolate apocalyptic wasteland ripped from the pages of Stephen King, Cormac McCarthy or maybe even the Old Testament. As the voicemails on “Prologue” fade into the background, Pimentel traverses the wild with raw emotion and a six-string, his weapon of choice for battling the encroaching monster of self-loathing. 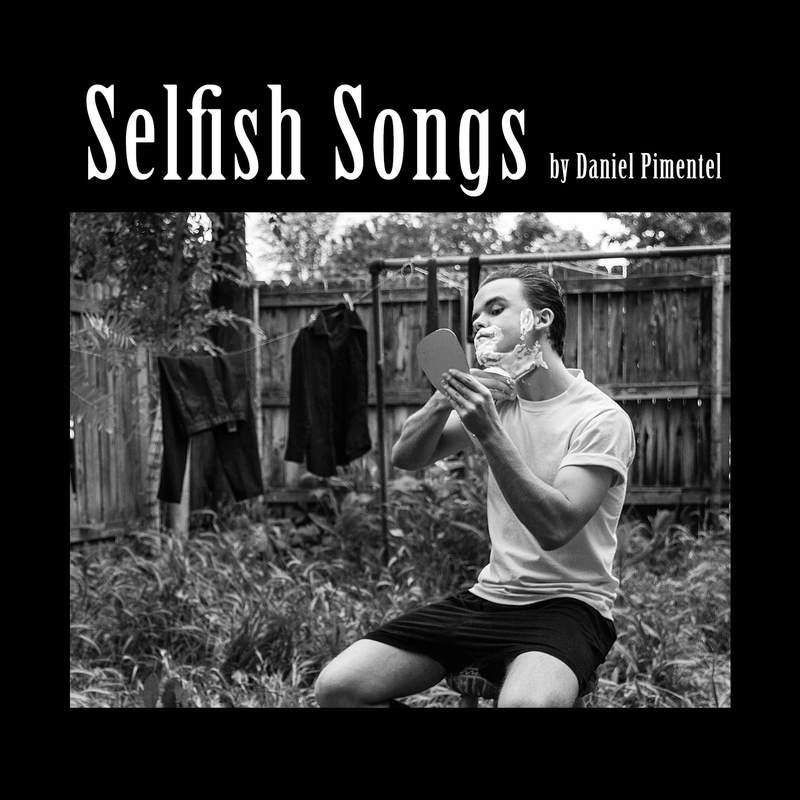 Summoning the spirits of Jack White, The Decemberists and the thematic underpinnings of Kendrick Lamar, Pimentel’s strength lies in his ability to mix get-on-your-feet rock and roll with brutally honest poeticism. “Wanderlust” and “Deus Ex Machina,” the two liveliest songs on the album, introduce Daniel as a troubadour and a vagabond, searching for a savior from himself. “I long to look upon your face,” croons the guilty soul. Where is God when you need him most? In the dense wilderness of Pimentel’s mind, He seems unfathomably distant, and by the time the beautiful “Eros” fades in, the anger is replaced by sorrow and weariness. He might not have it yet, but love is out there… and maybe even within reach. With that realization, Pimentel ups the tempo a hair on “Light Blues,” reminding himself that, “I don’t want to kill myself today.” Things could be worse in Dan’s head, but a driving piano riff introduces some levity to the proceedings, reaching a rousing climax with the help of a terrific horns section — harking a realization — do I really have it that bad? Part lament, part praise, “Alleluia” answers that question. Pimentel finds solace in the story of David from The Bible, who though plagued with trials beyond all compare, still praised God for his endless provision. Like the eventual King of Israel left the cave that acted as his hiding place from Saul, Daniel finds strength in admitting his weakness. It’s okay… you don’t need to have it all together. God can be praised amidst the storm and the battle. Which brings us to “Famine,” the most complete and soul-stirring track on Daniel’s powerful debut. With keen retrospection, he finally encounters God and presents himself for who he truly is — angry, lost and sinful — with the searing guitar solo punctuating the confession, “I’m so damn tired.” Daniel’s epiphany concludes that God must still be praised within the plenty and the famine because He will carry him through both. The Lord is our crutch and strong-tower. Gentle fingerpicking lulls us back into reality on “Epilogue,” concluding with one last voicemail urging him to join the world beyond his walls. With renewed strength and spiritual insight, maybe Pimentel is ready to do just that. This rousing debut will strike a chord for anyone with a penchant for spiritual longing and tight guitar-rock. Recalling Eric Clapton’s quest in “Crossroads,” Pimentel takes the road less traveled, searching for comfort in God rather than making a deal with the Devil. Musically, I cannot wait for Daniel to loosen up and let his instrumentation wander as much as his soul, adding texture to what is bound to be a rich and illustrious adventure. I, for one, want to travel the dark roads with him.